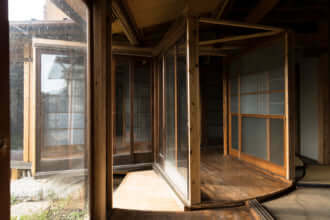 Micro-houses first became popular in the 90s, with the rise in property prices and the worry of the recession which led many young Tokyo residents to reconsider living in the suburbs. But they’re still popular today, due to their ecological aspect. 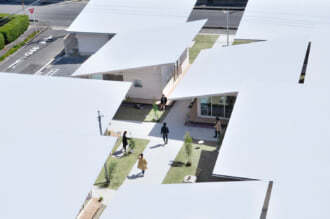 These little houses are, in a sense, an experimental laboratory which enables the development of a sustainable relationship with the environment. They are often energy-efficient and could be the ideal solution for towns and cities looking to make the most of every square centimetre. 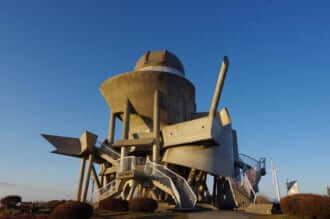 Companies like Apollo Architects specialise in breathing new life into old, crumbling houses and turning them into places that could almost be taken for works of art. The architects reinvent the existing shapes and use innovative materials like bright glass cubes, fibre-reinforced plastic and super-thin stainless steel membranes. To create a pleasant living space, it’s vital to rethink the idea of a house and imagine a new way of living inside these reduced spaces. The architects often get rid of corridors, inside walls and cupboards to free up as much space as possible: cupboards can be integrated directly into the walls, and a room can be lopsided if it means greater comfort and more space. It’s therefore about reinventing the whole concept of the house. Which leaves the designers with free rein.